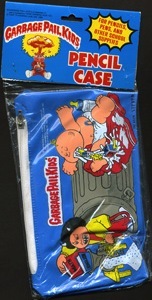 The Pencil Cases are zipper-topped vinyl bags measuring roughly 10" in length. 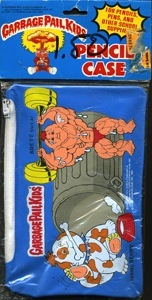 The zipper on the top opens up the bag that was intended for kids to store their school supplies in. 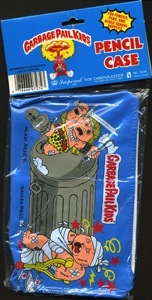 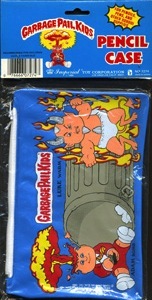 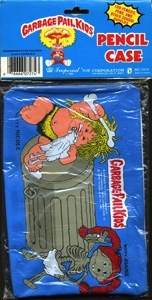 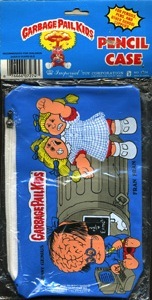 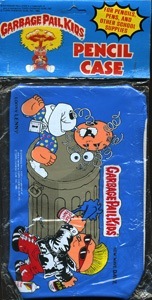 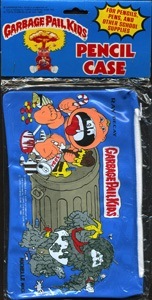 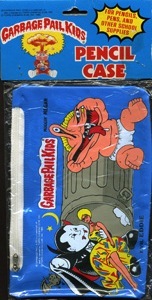 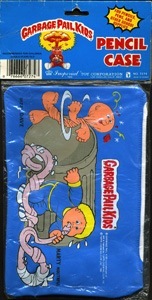 These bags included a total of 24 different characters from the 1st and 2nd Series Garbage Pail Kids (2 on the front and 2 on the back of each bag). 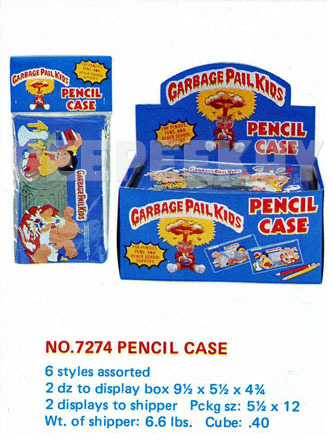 The Pencil Case appears in another product from Imperial Toy company...the School Set. 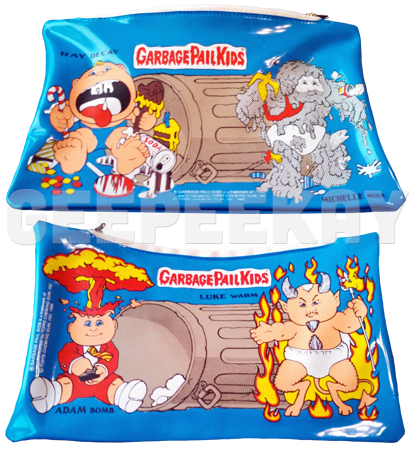 In fact, collectors often mistake one for the other, but the it should be noted that the School Set is much more rare and can fetch a pretty high price in auction/trades. 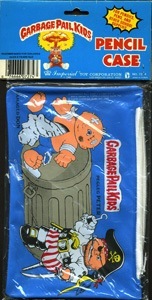 The Pencil Cases were packaged with a cardboard header and intended to be displayed on a peg hook. 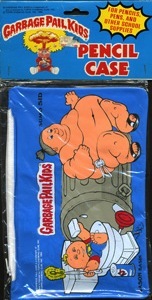 Below are images of the complete set (front and back).